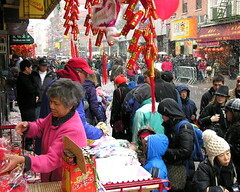 This old neighborhood in Lower Manhattan has been known as “Chinatown” since the mid-eighteenth century. 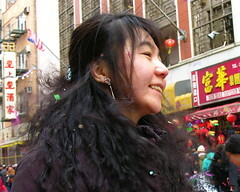 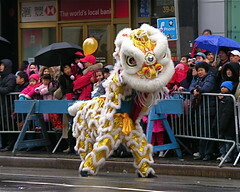 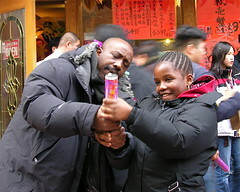 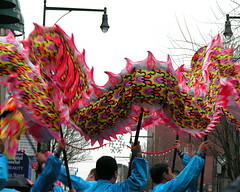 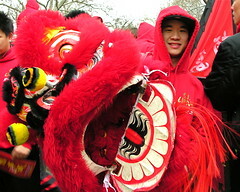 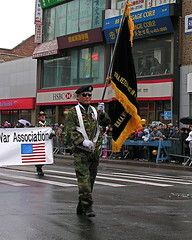 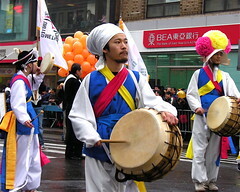 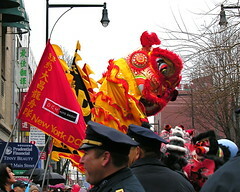 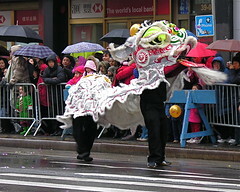 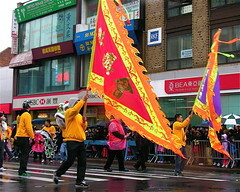 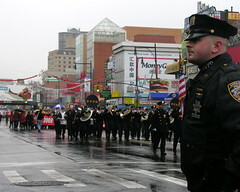 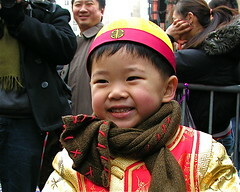 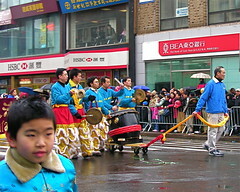 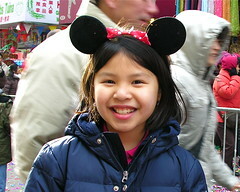 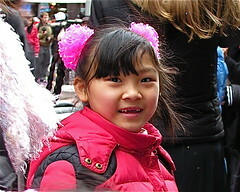 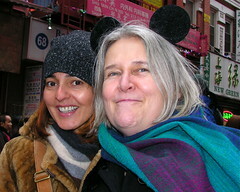 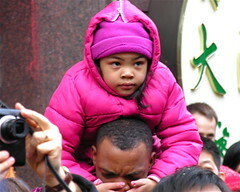 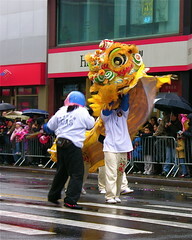 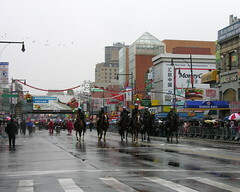 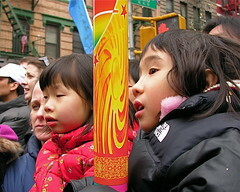 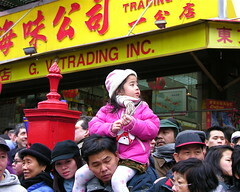 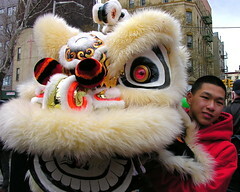 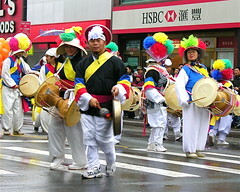 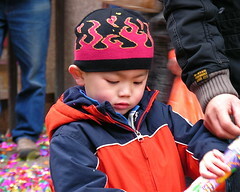 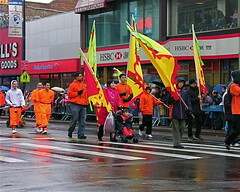 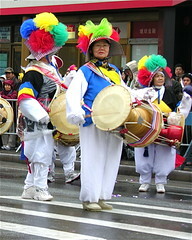 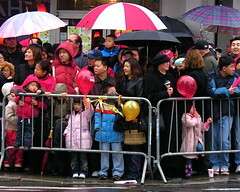 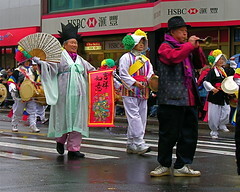 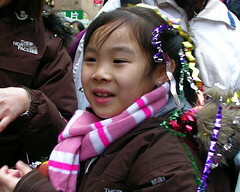 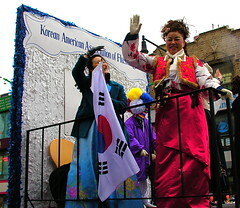 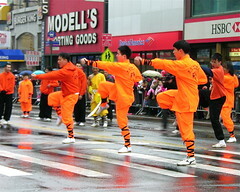 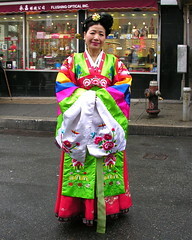 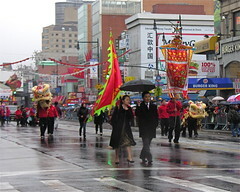 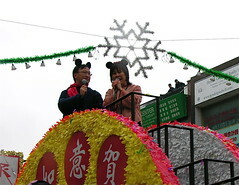 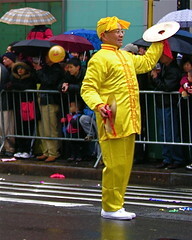 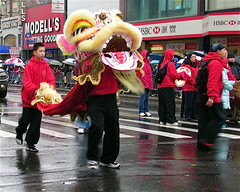 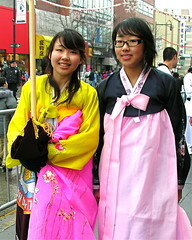 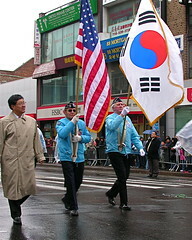 While it hasn’t been the center of New York’s Chinese life for decades, the area remains the city’s oldest and best-known Chinatown (New York’s other Chinatowns are located in Sunset Park, Brooklyn and Flushing, Queens) and it is still the site of the region’s largest lunar New Year celebration. 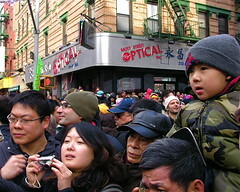 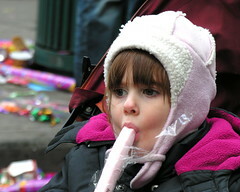 Today, the narrow, twisting streets were filled beyond capacity as thousands of people squeezed in to buy souvenirs, cheer the dancers, drummers and marchers, and twist the cardboard tubes of confetti shooters ($5 each! 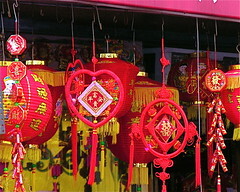 Three for $10!) 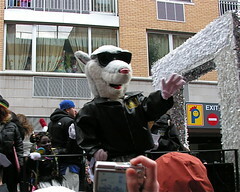 until their contents exploded, showering the crowd with shiny paper and foil. 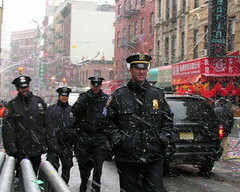 This year, as the parade welcoming the Year of the Rat drew to a end, a sudden, fierce snowstorm erupted. 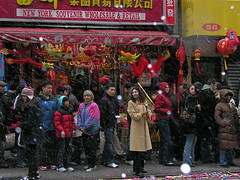 The swirling white flakes mixed with the brightly-colored steamers, delighting the children, quickly clearing out the celebrants and creating a memorable close to this chilly, festive day. 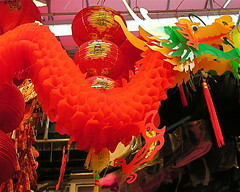 That isn’t just paper falling! 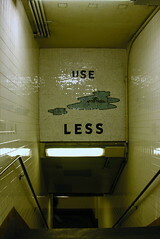 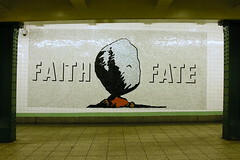 The Metropolitan/Lorimer Street subway station features Signs of Life, a series of mosaics by Taiwan-born artist Jackie Chang. 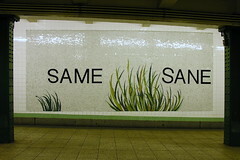 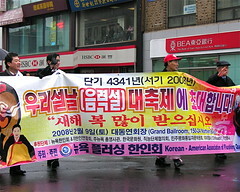 The project, completed in the year 2000, was commissioned by the New York City Metropolitan Transit Authority. 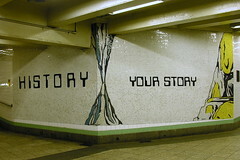 It brings a much-needed touch of wit and beauty to an otherwise dingy underground section of Brooklyn. 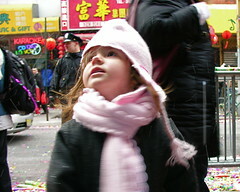 You are currently browsing the Blather From Brooklyn blog archives for February, 2008.